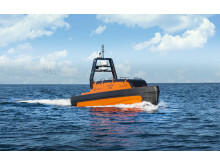 Southampton, UK, 9th April 2019 – Kongsberg Maritime is proud to unveil a brand-new Unmanned Surface Vehicle (USV) during Ocean Business 2019 this week. The Sounder USV System is a uniquely versatile solution designed and built to provide the highest possible standard of data acquisition. 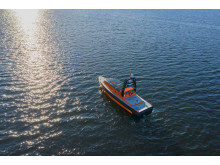 Key to the Sounder USV System’s appeal is the fact that it can be put to work with equal effectiveness across a range of applications to suit the requirements of specific market sectors. 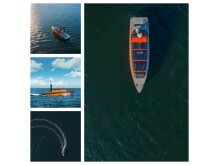 It can be equipped with a wide selection of Simrad sensors including SX90 and ES80 fishery sonars as well as KONGSBERG EM2040 multibeam echosounders for mapping and HiPAP positioning and communications systems for LBL (long baseline) and AUV (autonomous underwater vehicle) support. Other sensors can also be integrated, while rapid payload change can be effected as both the moon pool in the base of the hull and the 19” rack hardware are removable. The Sounder USV System is compatible with launch and recovery systems, making operation from ship or shore brisk and straightforward. 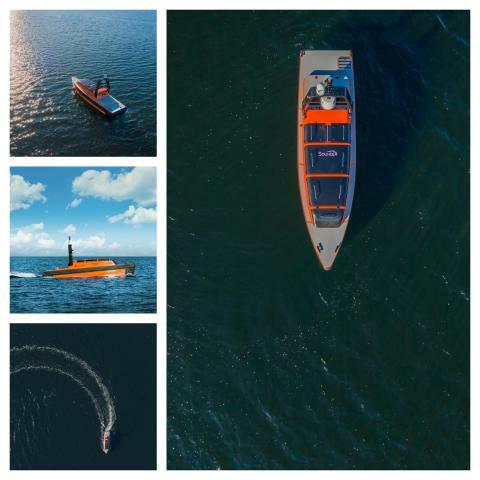 With an endurance of up to 20 days at 4 knots, it enables increased productivity at a lower cost: and a worldwide support network provides owners and operators with additional peace of mind. 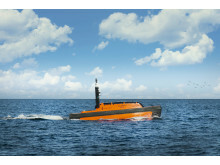 KONGSBERG is displaying a replica of the Sounder USV System on its stand (N1) at Ocean Business 2019, at the National Oceanography Centre, Southampton, 9-11 April 2019. Staff will be on hand to answer any questions on the Sounder USV System as well as Kongsberg Maritime’s other new entry to the sector, the GeoPulse USV. Norsafe is focused on providing reliability in case of emergency and keeping LSA fully operational throughout its lifetime. Its global service network of 45 service partners is spread across all continents and operates from over 300 ports worldwide, providing 24/7 service throughout the entire lifetime of the equipment. This ensures operational safety and readiness at all times, and compliance with the latest industry regulations. 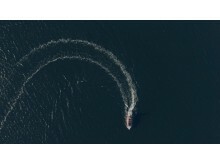 Norsafe is also passionate about crew training, offering a wide range of courses through Norsafe Academy training centres in Rosendal, Norway and Port of Lavrion, Greece. Norsafe is headquartered in Arendal, Norway and has manufacturing facilities in Norway, China and Greece.